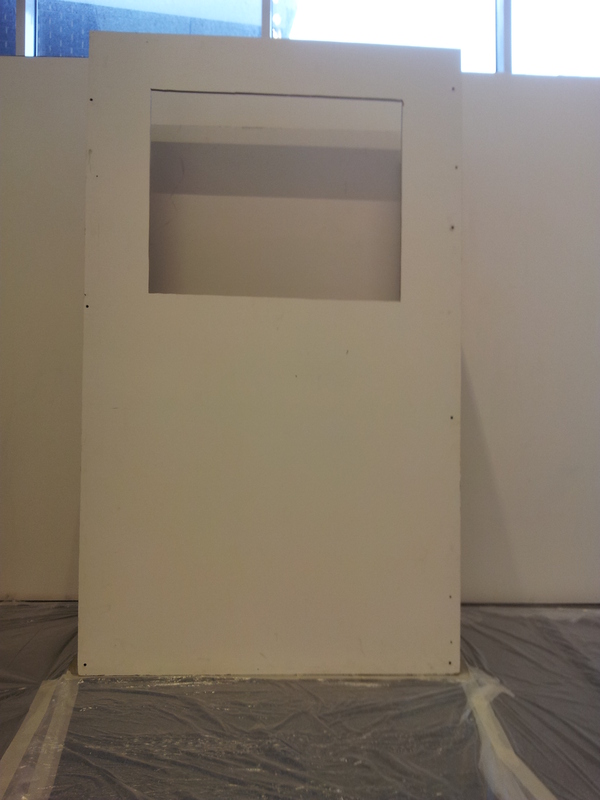 Matt Page, Moving Image Technician, and I built the Punch and Judy theatre on Wednesday in the photography studio before shipping it over to the gallery, in pieces, on a trolley. Today we put it together and I painted it white. My piece is in the space outside the canteen, which means a lot of people walk past it as it is being built. I feel exposed quite often. This entry was posted in sound and vision and tagged installation art, punch and judy, punch and judy theatre, second year show, sound and vision by Julia Fry. Bookmark the permalink.